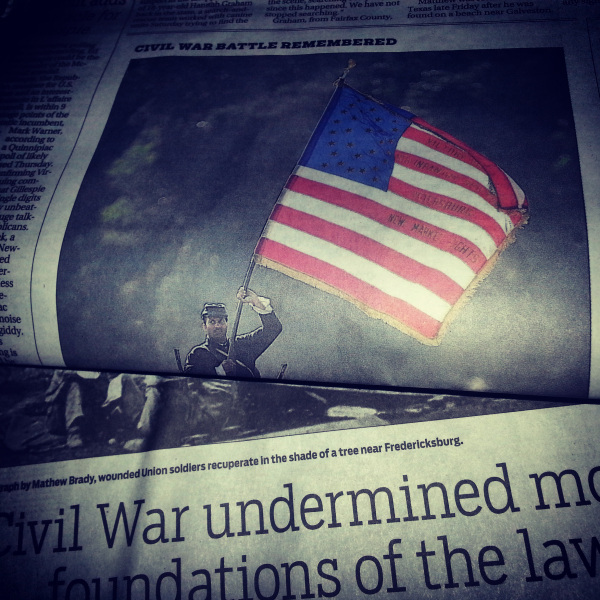 One Sunday paper – two Civil War articles. Welcome to Richmond. It’s not unusual to see mention of the Civil War in my local newspaper; after all, I do live in Richmond, Virginia, the former capital of the Confederacy. When I moved here twenty-odd years ago, I had no idea that the “War of Northern Aggression” was still a subject that aroused such heated debate. My eyes were opened by reading the impassioned Letters to the Editor of the Richmond Times-Dispatch. Silly me, I thought it was all in the dusty past. Distracted and inattentive reader that I’ve become, I count my lucky stars that I didn’t blow right past a recent Civil War article, but it caught my eye because of two personal hot buttons: vintage photography and slavery. Around 4,000 year ago, Cardigan Bay was filled not with salt water but with thick forest,, divided by a broad river channel. This landscape was lost to rising sea levels in the early Bronze Age- but now storms have stripped back centuries of accumulated sand and peat to reveal traces of this lost landscape, and the people who inhabited it. Scatters of burnt stones have been found near some of the footprints, while further evidence of human activity was recorded by RCAHMW’s Deanna Groom and Ross Cook who recently discovered a wattle walkway during a beach walking survey after a storm. Made from short lengths of coppiced branches secured on each side with posts, it would have helped the area’s Bronze Age occupants to navigate their waterlogged home. These traces give a really nice link with the past. 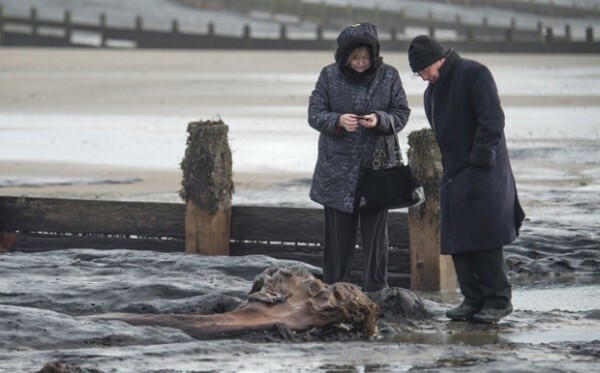 In one place there are two very clear footprints belonging to a prehistoric child and one could even stand in those footprints where prehistoric people stood thousands of years ago and look out over what is now sea, but what would then have been the land they lived on. The Prehistoric wattle walkway. Recently discovered by RCAHMW’s Deanna Groom and Ross Cook. One of our missions at the British Museum is to encourage visitors to think about cultures and periods that might be outside their everyday spheres. 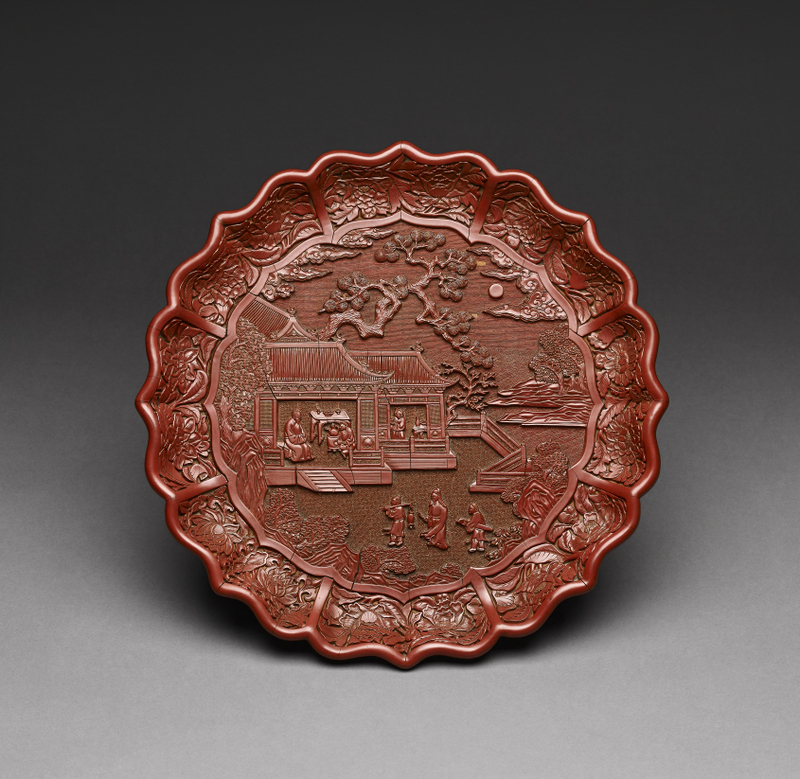 Everyone has heard of China, and most people have heard of Ming, but we wondered how many people fully appreciate the significance of the Ming era in Chinese and world history – beyond, of course, the making of exquisite porcelain. This was one of the motivations behind our major autumn show, the BP exhibition Ming: 50 years that changed China, which has just opened and runs until 5 January 2015. A 2,000-year-old kitchen, which dates back to the late Roman era, has been discovered in the ancient city of Sagalassos in Turkey’s southern province of Burdur. Excavations in the ancient city started in early June, but the discovery of the kitchen was only reported last month. “The kitchen was completely unearthed. We will learn in great detail about the kitchen culture present in that era. This is a very detailed scientific work. Not only archaeologists, but also anthropologists, zoologists and botanists are working together [on this project],” said Professor Jereon Poblome, head of excavations. Thanks to everyone who follows me on Twitter. Rita Roberts. 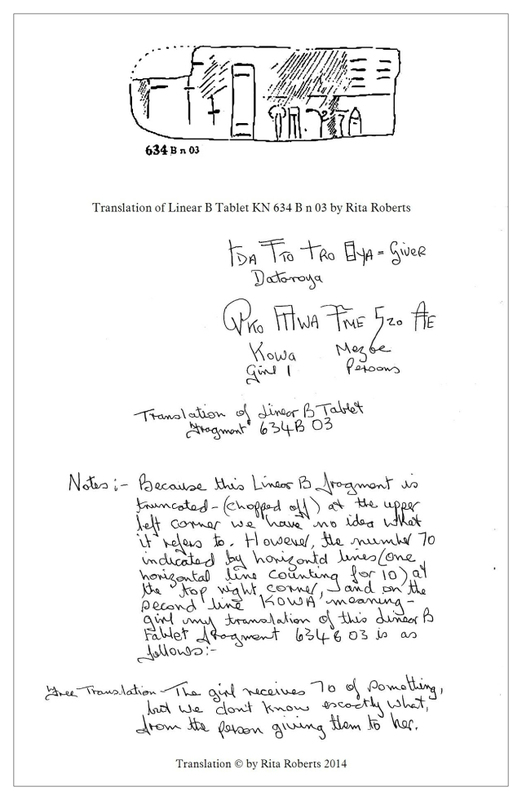 And here is another of my Minoan Linear B Translations. Thanks folks for reading.